This rectangular box is made of wooden and is helpful in keeping things organized. The borders are washed with golden colors. It is like a Read More..box and has a door like opening functional with the help of hinges. 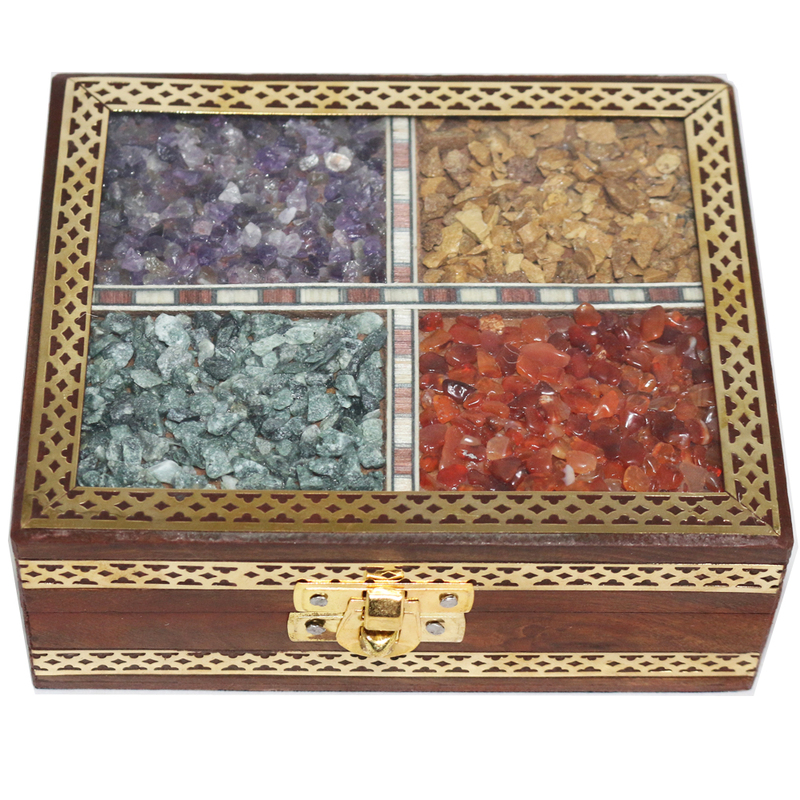 On the upper surface, four rectangular panels are made which are filled with different and colorful gemstones. These kinds of boxes make good presents for small occasions and increases the beauty of the house. Show Less..